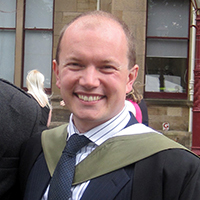 David Jarman is the programme leader of Edinburgh Napier’s undergraduate BA (Hons) Festival & Event Management. The course is now ten years old and has worked with many events across Edinburgh and Scotland. From student work placements to projects and research, there are always opportunities to engage with the staff and students. If you would like to know more about getting involved, please contact David on d.jarman@napier.ac.uk. David has lived in Edinburgh since 1997, working for the Festival Fringe Society, Fringe venues and other festivals before joining the university in 2007. 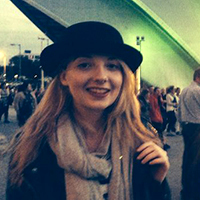 Hello everyone, my name is Aisling MacQuarrie and I recently joined Edinburgh Napier University as a research assistant. I am currently working on a project in the School of Marketing, Tourism and Languages examining the effectiveness of blogs as a communication channel for festivals and events in Scotland. 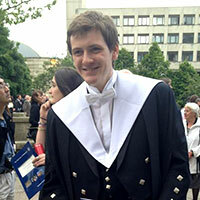 This summer, I graduated from the University of Aberdeen with a PhD in History. I hope you enjoy reading this blog and if you would like to get in touch please contact me on a.mcquarrie@napier.ac.uk. seminars, events and professional development activity. She has published widely in the areas of festival and event marketing and management and is currently working on a University funded research project looking at the effectiveness of blogs as a marketing communication channel for festivals and events. 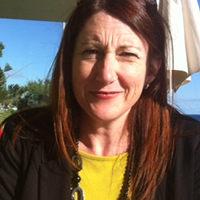 Jane has lived in Edinburgh since 2002 and this is her first sojourn into the world of blogging. 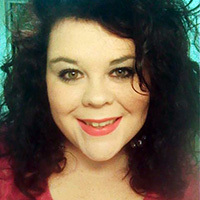 Feel free to contact her on j.ali-knight@napier.ac.uk. Selina-May is currently working as a Festival Administrator for the University of Edinburgh after graduating from Edinburgh Napier University where she studied Festival & Events Studies with Entrepreneurship. She loves to read, travel and to write and has her own personal blog. She loves all aspects of the Edinburgh Festivals and can’t wait to start blogging for the book festival. Hello, I’m Rory Telfer, I come from Edinburgh and I’m currently studying an MSc in International Festival and Event Management at Edinburgh Napier . This summer I’ll be completing my dissertation on the social impacts of the Edinburgh Festival. I previously studied my undergraduate degree at the University of Edinburgh in Scandinavian Studies and History. I like performing stand-up and pretty much any films, books and furniture from Sweden. This is also the first time I’ve ever contributed or written for a blog. 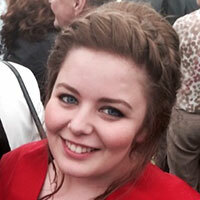 Harriet MacMillan joined the University in 2014 as the Campaign Support Officer for the 50th Anniversary. This has involved writing a weekly blog about the University’s history, as well as carrying out lots of other fun projects. Prior to this, she completed MSt in Creative Writing at the University of Oxford and studied English Literature at the University of Edinburgh. In her spare time, Harriet writes poetry and prose fiction, sings karaoke, cooks and tells rubbish jokes. Harriet visited the First World War battlefields whilst at secondary school and was deeply moved. She is eager to learn more about the conflict and to share what she learns with others through this blog.